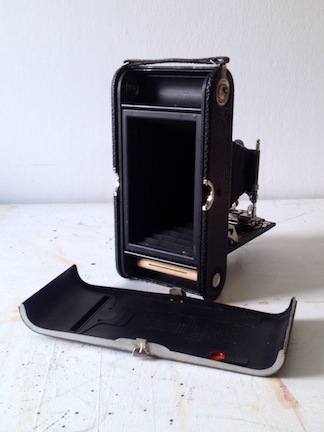 I’ve been looking for rough Kodak 3A and 4A’s for wetplate collodion but prices have gone a little crazy on Ebay. The ones I do have are in far too nice a condition so I thought I’d have a look for some bashed up in need of some repair alternatives that I don’t mind possible silver nitrate corrosion. With the numbers that were made you’d think there would be plenty to choose from, well there aren’t many in my price range. This one wasn’t too bad a price and I didn’t really look at the images of the camera in the advert as condition wasn’t that important. Turns out its a little too good but I still might use it for wet plate if I cant source another. 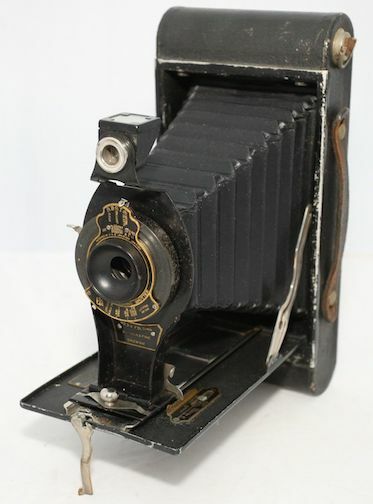 Its a Kodak 3A Autographic. It makes a 9x14cm or 31/4 x 5/12 inch image, so I was thinking ideal for full length single portraits at the Phoenix Alternative Festival. Plus its far more portable. I’ll try it out in the studio first as focus is by distance scale rather than ground glass screen. It is similar to another I have, but this time it doesn’t have the pinch release for the back cover. 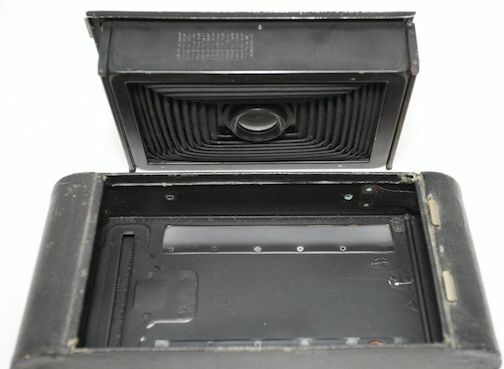 This one has a sliding lock mechanism on the front and the front comes off as a complete compartment/unit. I’d not seen this before and theres limited info online. Heres the back removed. Anyone have any info on this version? Why the change? It’s still 122 roll film. Compared to my other 3A and similar Kodak folders which have a pinch mechanism to remove the back. 03 Jul This entry was written by Fourtoes, posted on July 3, 2018 at 9:38 AM, filed under Misc..